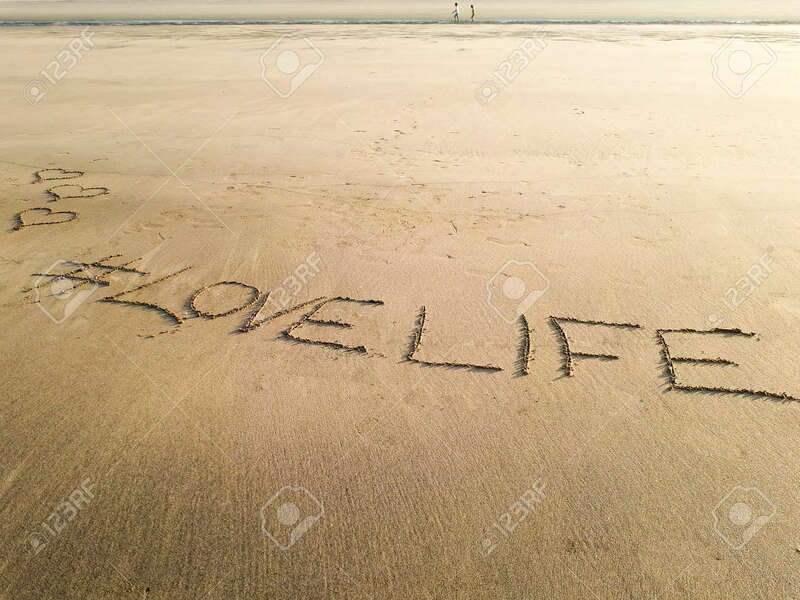 Love Life Written On The Wet Sand Of Matoshinos Beach. Copy.. Stock Photo, Picture And Royalty Free Image. Image 103295694.